Library & laboratory: institutionalizing a dynamic digital projects infrastructure across workgroups. 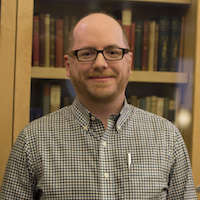 As part of a broad, ongoing effort to coordinate digital scholarship efforts across multiple campuses and disparate administrative units, Middlebury College has launched MiddLab - a "library DevOps" team charged with institutionalizing the iterative development and rapid integration of new digital scholarship tools and services. Our slides are available, as well.